Live your North Myrtle Beach vacation dreams at Spinnaker where you are not only oceanfront in a nicely appointed two-, three- or four-bedroom North Myrtle Beach condominium, but where North Myrtle Beach, SC family attractions are only minutes away and on-site amenities put you within sight or sound of the ocean at all times. Towering over the white, sandy beaches in North Myrtle Beach, South Carolina, Spinnaker is a remarkable North Myrtle Beach vacation destination where every North Myrtle Beach vacation condominium features panoramic vistas of the vast Atlantic Ocean. A full kitchen enables your family to eat breakfast without having to leave the oceanfront condo in North Myrtle Beach, SC, put together a picnic that you might enjoy down on the beachfront or even make and serve dinner when you prefer staying in during your North Myrtle Beach oceanfront vacation. 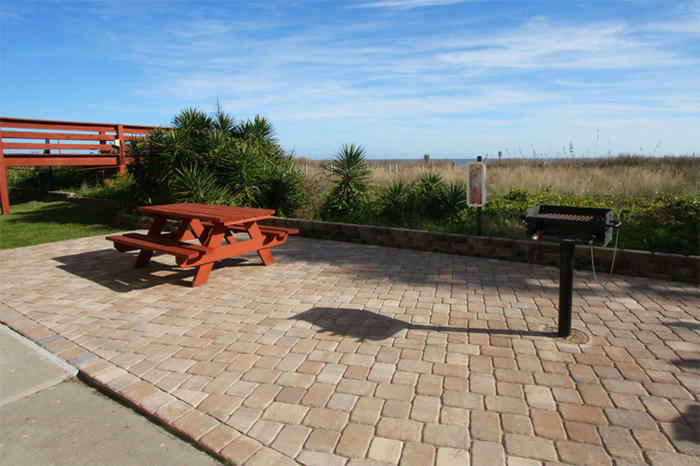 There is a washing machine and clothes dryer in each of these North Myrtle Beach vacation rentals and also a DVD player. Some of these North Myrtle Beach condominiums have high-speed Internet access. The refreshing swimming pool at this North Myrtle Beach resort overlooks the beach. Spinnaker is carefree living in an oceanfront environment that is only minutes away from all the North Myrtle Beach amusements that first attracted you to the area. Championship golf courses are in all directions from this North Myrtle Beach, South Carolina location. With about 100 Myrtle Beach area golf courses from which to choose, you can set your tee time and be on the greens quickly. Delicious North Myrtle Beach seafood is another reason people love this ocean side area. From raw oysters and fried shrimp to homemade clam chowder and the fresh catch of the day, North Myrtle Beach menus overflow with scrumptious options for the whole family. Save time for a little shopping, ride a water slide at a water park and maybe take in a family show or two during your fabulous stay in North Myrtle Beach, South Carolina. Elliott Beach Rentals is not affiliated with onsite management or the HOA of Spinnaker.